With most of the media focus during the US primaries on Donald Trump and his statements and views, less attention has been paid to Democrat frontrunner Hillary Clinton, even though her record reveals that she is far more dangerous. A measure of the extent to which ISIS is being defeated on the ground in Syria is the most recent terrorist attack in Brussels, evidence of the organization’s desperation to strike back anywhere and in any way it can. It is for this reason that further terrorist atrocities across Europe are almost guaranteed to be a matter of when, not if; especially in light of the recently leaked French Interior Ministry report which estimates there may be up to 90 suicide bombers at large across the EU, either planning or awaiting the order to mount an attack. It bears emphasizing that the defeat of ISIS at the hands of a reinvigorated and confident Syrian Arab Army and its allies is being won in spite of the West's role in the conflict rather than because of it. Prior to Russia’s military intervention at the end of September last year, Syria appeared a country headed for the abyss. Despite the extraordinary tenacity and resilience of the Syrian people and the country's armed forces, they were struggling to hold the line on multiple fronts against an enemy that was benefiting from an open border and clear supply lines between Syria and Turkey. At the same time, ISIS was raking in millions of dollars from the trade in stolen Syrian oil, running truck convoys transporting the lucrative cargo between Syria and Turkey almost unimpeded. 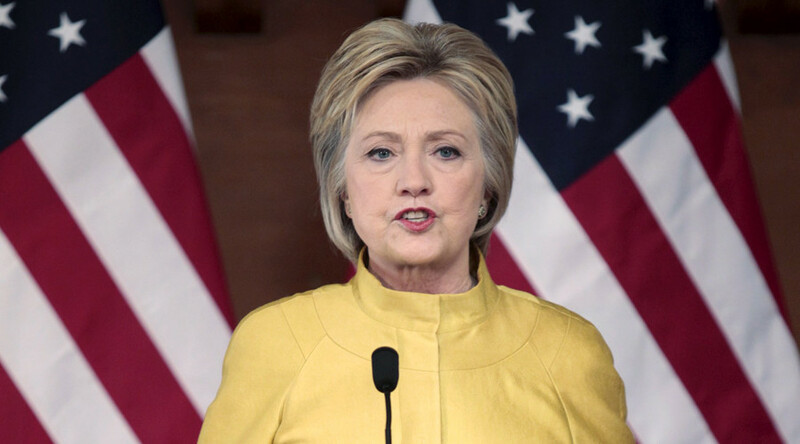 In response to the terrorist attacks in Brussels, former US Secretary of State Hillary Clinton has called for the creation of a "new, unified, European border and coast guard” in order to protect a European continent that is under "unprecedented pressure from refugees and migrants.” She also said that she would like to see a bigger investment in defense and security from European countries, claiming "there is also more they can do to share the burden with us." Clinton’s call for a militarized EU reflects with a growing among political and military hawks in Washington that the solution to the destabilization of the Middle East, rooted in the disastrous military interventions staged by Washington and its allies over recent years, is the destabilization of Europe. For Europe’s destabilization is precisely what would result if this latest terrorist outrage was used as justification to move the EU closer to it being transformed into hegemonic military bloc given the unresolved issues concerning Ukraine and the sanctions imposed on Russia over the Ukrainian crisis just over its western and southern border. 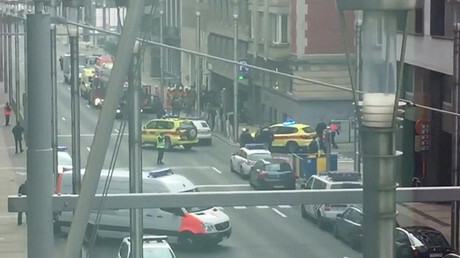 The attack in Brussels was entirely predictable and indicative of a grievous security and intelligence failure on the part of the Belgian authorities, as well as being symptomatic of the West’s dismal failure in getting to grips with the nature of the threat that every advanced country faces from the spread of this extremism. Clinton’s role in helping to proliferate this menace is well known. 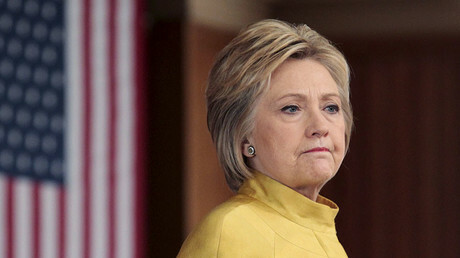 While serving as secretary of state in the first Obama administration, she was a key figure in pushing for the military intervention in Libya that turned the country into the failed state it is today. Her motive in doing so had nothing to do with protecting civilians, as we were told, and everything to do with ending Gaddafi’s project to establish a pan-African currency, underpinned by the Libyan dinar, as an alternative to the dollar and the euro. This was part of Gaddafi’s pan-African vision with the objective of uniting the continent economically and politically. We know all this from classified US State Department emails that were held in Clinton’s private email account, released for public consumption in batches by order of a US court in response to a lawsuit brought by a US conservative foundation. Yet here she is, five years after the destruction of the North African country that she supported, calling for the militarization of the EU in response to the growing threat of the very extremism that NATO’s air war in Libya only made worse, helping to unleash the very refugee crisis that she describes now as a "threat" to Europe’s security. Poor people fleeing war and conflict are not threatening Europe’s security. Threatening Europe’s security are the failed and disastrous military interventions across the Middle East carried out by the US and its European allies, based on their perverse rendering of the region as a giant chessboard upon which governments and states are mere pieces that can be moved around or removed upon their whim. Hillary Clinton champions regime change while washing her hands of the catastrophic consequences that flow from regime change. She declaims against Europe’s lack of effort in the struggle against terrorism while attacking and demonizing Russia over its pro-active role and effectiveness in combating it. Such contradictory positions do nothing to support her suitability as a future and serious president of the United States. On the contrary, they suggest a politician whose cynicism and opportunism knows no bounds. As the smoke from the terrorist attack in Brussels clears, and as we absorb the latest example of heinous and wanton mass murder to erupt in our midst, it is time for Western governments and politicians to stop fiddling while Rome burns. Europe’s security is tied to Russia’s security, which is tied to Syria’s security, and so it goes. The time for silly games has passed. As for Hillary Clinton, her record is a monument to mendacity.